Seeking a position to utilise my skills and abilities in your organisation, that offers professional growth while being resourceful, innovative and Flexible. 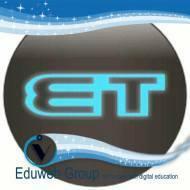 Eduweb Technologies conducts classes in Computer Assembling, Computer Course and Computer Maintenance. It is located in Jamsuli, Basta. It takes Regular Classes- at the Institute.